People are always wondering what kind of employee discount I get at Tennis Express. I’m not going to lie. It’s fabulous! My boss is very generous, so it’s hard not to buy something every day I walk into the store. Welcome to my struggle. For a short time, you can enjoy the same employee discount I do (or even better pricing)! Good luck picking only one pair! Guys – Are you ready to play your fastest tennis yet? The Nike Zoom Vapor 9.5 Tennis Shoes worn by Roger Federer are designed with speed and responsive fit in mind, and they’re lightweight so you can move quickly. These shoes can help you find the quick, explosive movement that’s been missing from your game. With technology to help you be faster and more agile on the court, it is no surprise that this shoe is highly popular among tennis players. Best of all, it’s on sale now! 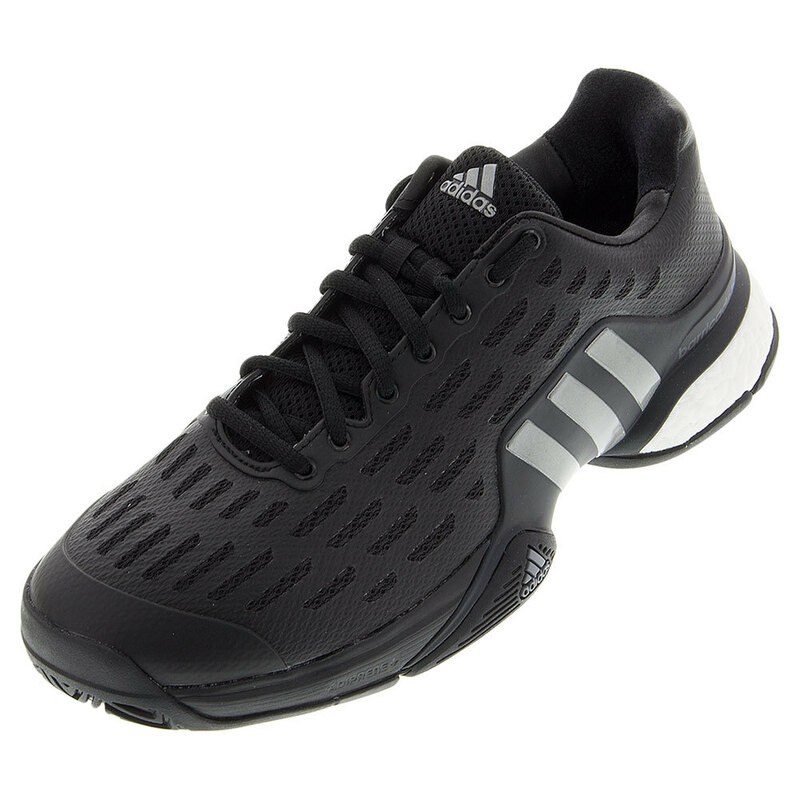 Give your game a boost with the adidas Men’s Barricade Boost Tennis Shoes! These kicks use revolutionary Boost material in the heel to make these the most comfortable barricade shoe ever made. Boost’s energy-returning properties keep every step charged with an endless supply of light and fast energy. With a natural flex fit, these shoes will become your fast favorites…and they’re on sale now! 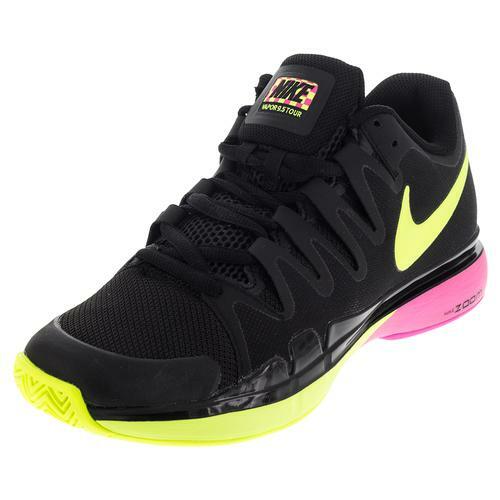 If you want to play like Serena but don’t quite get the same paycheck, now’s your chance to get the Nike Flare Shoes! We are offering $50 off our already competitive price on these shoes! We are discounting the Flares in a variety of colors. These are the newest innovative court shoes that everyone wants to try out because of the built in ankle support. It obviously works for Vika and Serena, so why not give them a try? It’s ok if you like a more conservative look in your sneakers, it doesn’t mean you have conservative footwork! 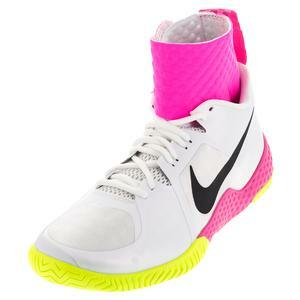 There are other Nike shoes on sale that will provide premium performance on the court at a great price. The Nike Women’s Zoom Vapor 9.5 Shoes in Dark Purple Dust and Racer Blue or in Viola and Hyperviolet are a great buy at $97.99 per pair. I love that Nike specifically designed this shoe for a woman’s foot, instead of just changing the width on an existing men’s shoe. It’s no wonder that players like Eugenie Bouchard and Maria Sharapova love the classic styling of these shoes! I’m surprised to see a shoe like the adidas Stella Barricade Boost in the Blowout Shoe Sale! This shoe has all of the latest technology from adidas with Stella McCartney styling, so it’s hard to believe we’re offering it as a clearance shoe. These brightly colored shoes with major heel cushion get a lot of attention in our local store and you can get a better look at it on our video review. It’s perfect for toe draggers and ladies that like to feel close to the court surface. Sometimes when all of your friends have the same shoe, that’s a good sign. It’s rare that I play as part of a foursome without at least one of the ladies wearing an Asics Court Shoe. This dependable brand is popular for all the right reasons: comfort, durability, and lightweight construction. The Asics Gel Dedicate 4 Tennis Shoe in Blue and White is perfect for runners/walkers that are transitioning to a tennis game (ahem, or “career” as we like to call it). 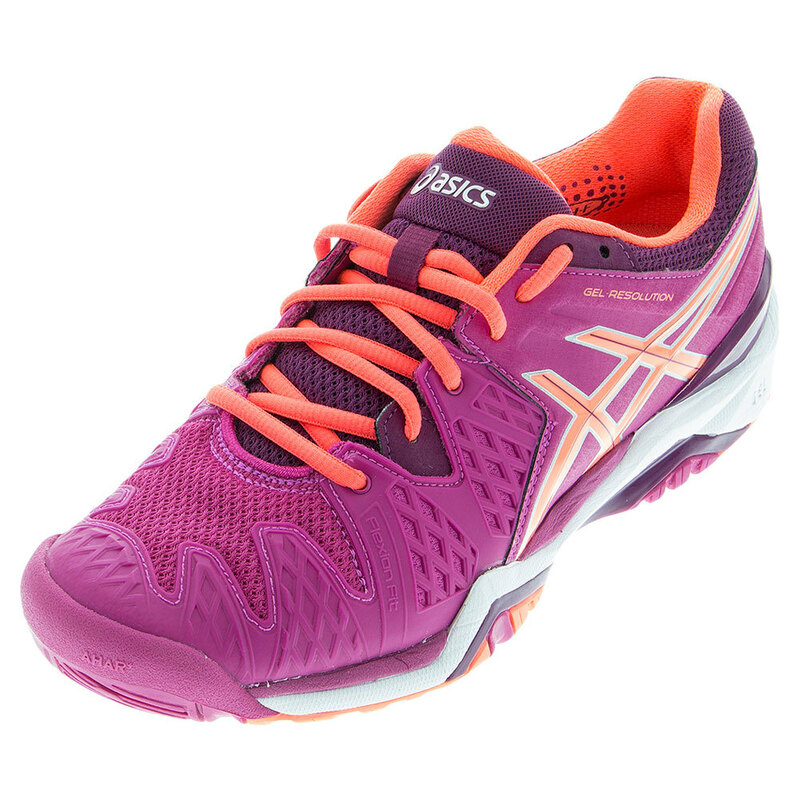 The Asics Gel Resolution 6 is by far the most popular shoe among adult female recreational tennis players. 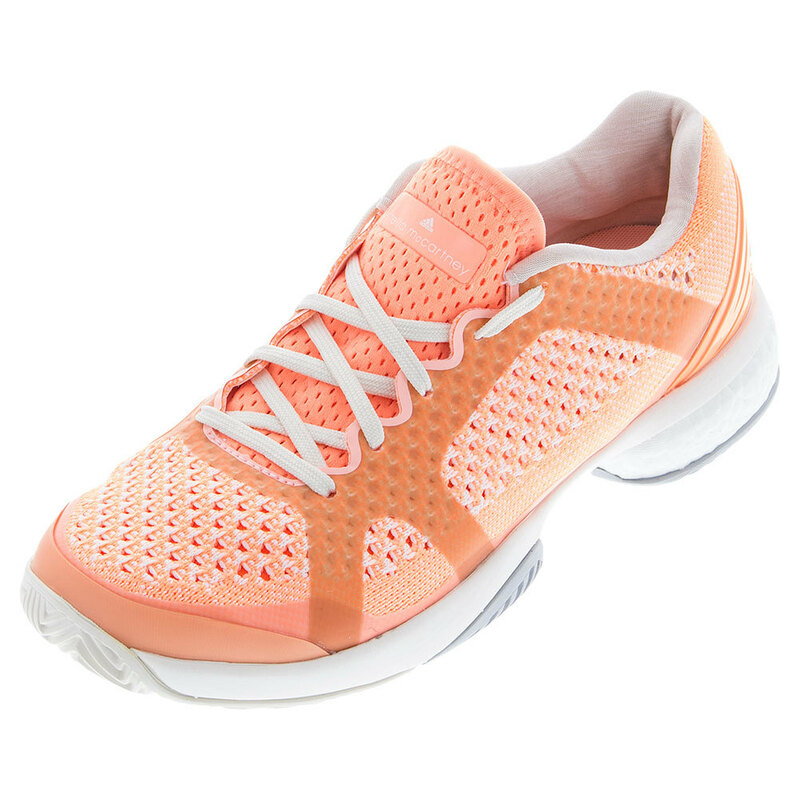 The gel cushion forms to your foot to provided unparalleled comfort. There’s no slipping around in the shoe, and it doesn’t feel like you’re wearing an oversized clown shoe. You can feel the court and move confidently to the net for an awesome put away! And I know what you’re thinking. You’re thinking the “6” version in on sale because there’s a new “7” model. Nope! If you buy this shoe, you are getting a great deal on the latest version of this shoe! 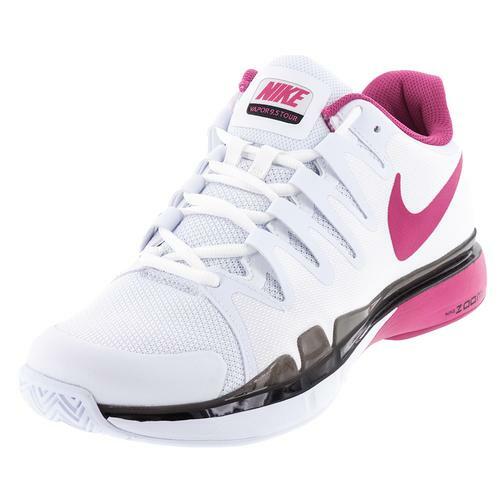 To see the rest of the shoes on sale at Tennis Express, visit our Blowout Shoe Sale Today!